Fall in love with the all new Layla Grayce! Layla Grayce has recently launched their newly redesigned website. 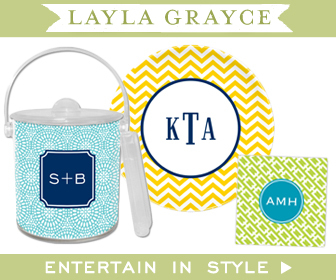 In addition to a fresh and inspiring new look, Layla Grayce has added some bells and whistles just for you. You can now check customer reviews to read firsthand information on product experiences and weigh in on your favorite purchases. Test drive a new look with the brand new design board, where you can mix and match different products and perfect your look before you purchase. Need ideas? When you seem to lack inspiration, visit the redesigned and revamped Backroom Blog. Find fabulous ideas that inspire and inform you to get a jump start on your next project.